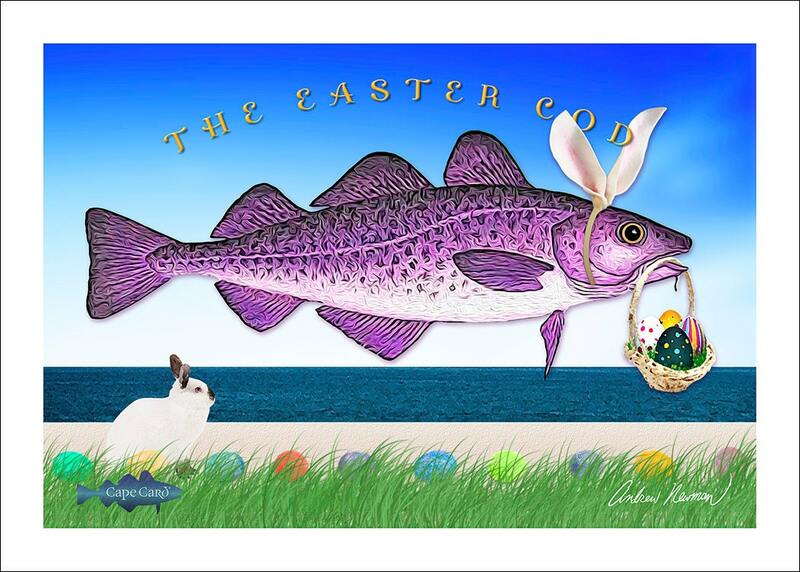 The Easter Cod is printed in full color inside and out on heavy uncoated stock using long lasting pigment inks. It is packaged in a clear cello sleeve with envelope. The card measures 7 x 5 inches. Illustration copyright © by Andrew Newman. All rights reserved. The Cape Card logo watermark will not appear on the actual card.